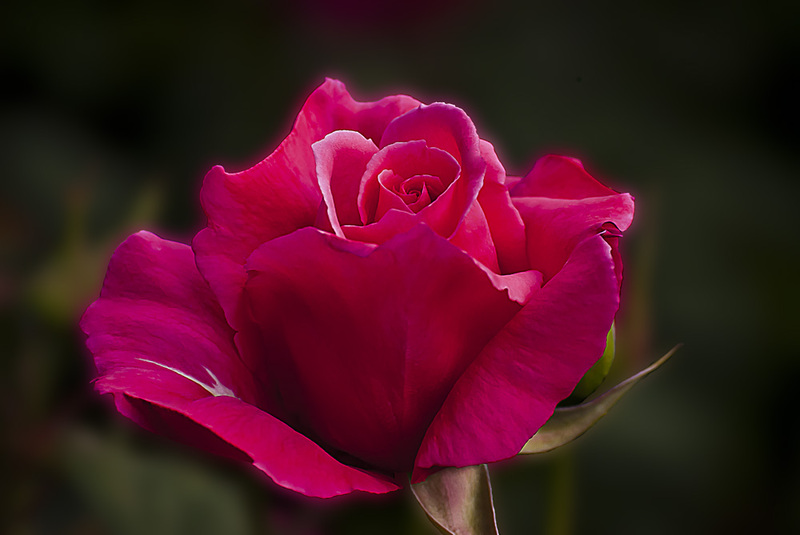 The Mullard Jubilee Red Rose is also called the Electron Rose. In Europe the Mullard Electronics Company bought the naming right for this rose after it was first cultivated in the 1970s. The rose went on to win just about every award for a rose that exists. Probably bring massive exposure for this company. 10,000 pounds for naming rights at the time is was probably a great investment for the company. However, there appears to not be a company named such no longer. It was a British company that had a long standing relation with the Dutch Philips Company. Philips is now a massive technology company headquartered in Amsterdam, but it appears that Mullard is no longer in existence? Rumor has it that Russian Company may have brought back the Mullard brand for use in guitar amplifiers, but not real sure about that? But I digress… Back to this wonderful red colored rose that we’re featuring today. Some have a white stripe down the center of the petal but they have a predominate red color to them. The fragrance in these rose is very strong and elixir-like. Enjoy.